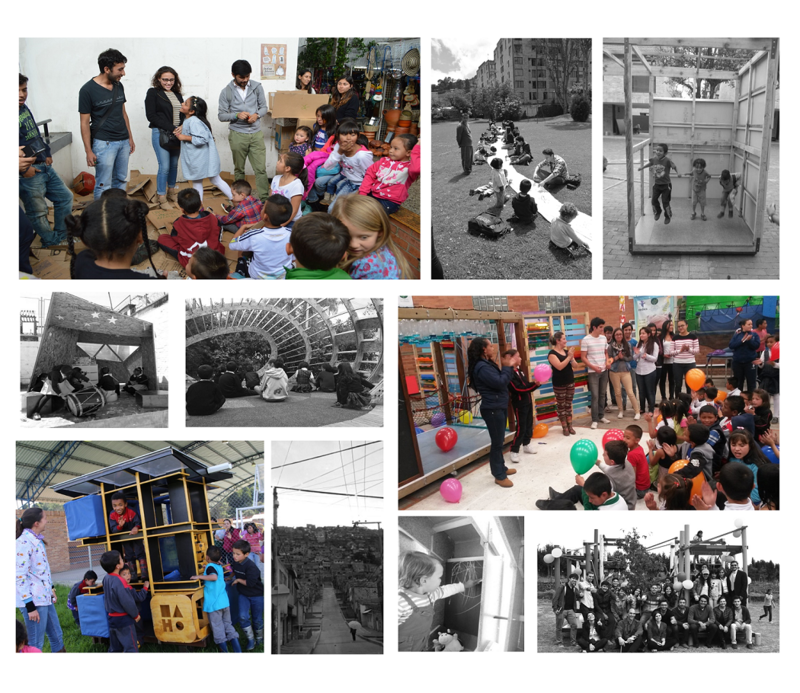 Architectural LiVe Projects as an Agency for Peace was a pedagogical strategy that used live projects for the promotion of significant learning and social reconstruction in Colombia. It aimed to establish meaningful ties between university students, teachers, professionals in practice, the industry and underserved communities, many of which were child victims of the Colombian armed conflict. It involved 15 different live projects designed, built and analysed over the course of four years; with the participation of approximately 170 undergraduate students, various national and international teachers, 6 sponsors from the construction industry and 12 children’s foundations. 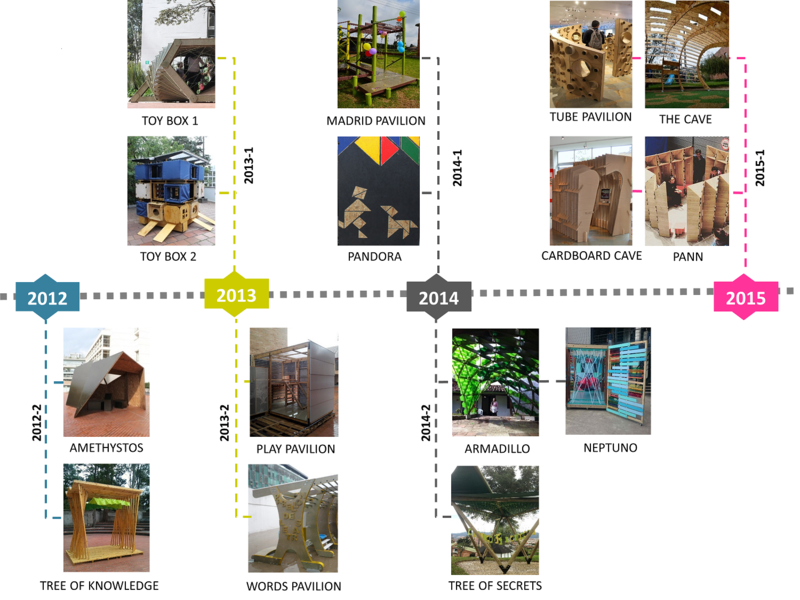 This pedagogical strategy intended to incite a small-scale, but catalytic intervention to the Colombian architectural curricula. It stemmed from limitations and constraints found in programmes mainly based on design studio modules, which are frequently isolated from everyday life and tend to focus on theory without experience. It proved to be an effective way in which the academia and private industries could work together to improve living conditions in local communities and promote dignity by delivering ethical and democratic designs. In addition, the results revealed valuable insights into the development of the participants’ intellectual, physical and emotional dimensions throughout these experiences. Clients: Cigarra (www.fundacioncigarra.org), Pies Descalzos (www.fundacionpiesdescalzos.com), Instituto San Pablo (www.ciudaddelnino-a.com), Colegio Sabio Caldas (www.sabiocaldas.edu.co), Escuela Taller de Bogotá (www.escuelataller.org), Fundación Cran (www.cran.org.co), Fundación San Antonio (www.fundacionsanantonio.org), CAKIKE (cakike.org), FANA (http://www.fundacionfana.org) and Fundación PANN (www.fundapann.org). Tutors: Carolina Rodriguez, Juan Carlos Rojas, Roland Hudson, Hernando Vargas, Rafael Villazon, Maria Claudia Villate, Chantelle Niblock. Other Facilitators: Fernando Sierra, Lucas Oberlaender, Pedro Reissig, Eduardo Aguirre, Enrique Ramírez, Enrique Hernandez, Christiaan Job Nieman, Fanor Serrano, Jose Ignacio Torres, Francisco Bohórquez, Juan Pablo Ortiz, Alejandro Hernandez, Erika Duarte, Clara Montoya, Madecentro, Inmunizadora Serrano Gomez, Masisa, Hunter Douglas, Universidad de Los Andes. 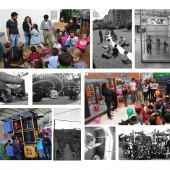 Research Question: This pedagogical strategy sought to explore the question: How could architecture students have a greater positive impact in Colombia, help to empower communities through active and inclusive engagement and promote social reconstruction and peace building? 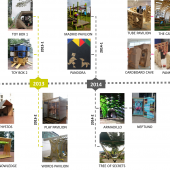 The proposal was to achieve the above through a pedagogical strategy, which involved participatory design processes materialised via live projects. Each live project was developed over the course of 10-12 weeks, encompassing six main stages: 1. Preparation and design of the idea 2. Consultation and work with the community 3. Development of the design proposal 4. Technical consultation with professionals and the industry 5. Construction and implementation and 6. Evaluation and reflection. Bloom’s revised taxonomy and Fink’s taxonomy for levels of knowledge, were used as theoretical framework to guide the design and evaluation of the live projects, from the pedagogical point of view. 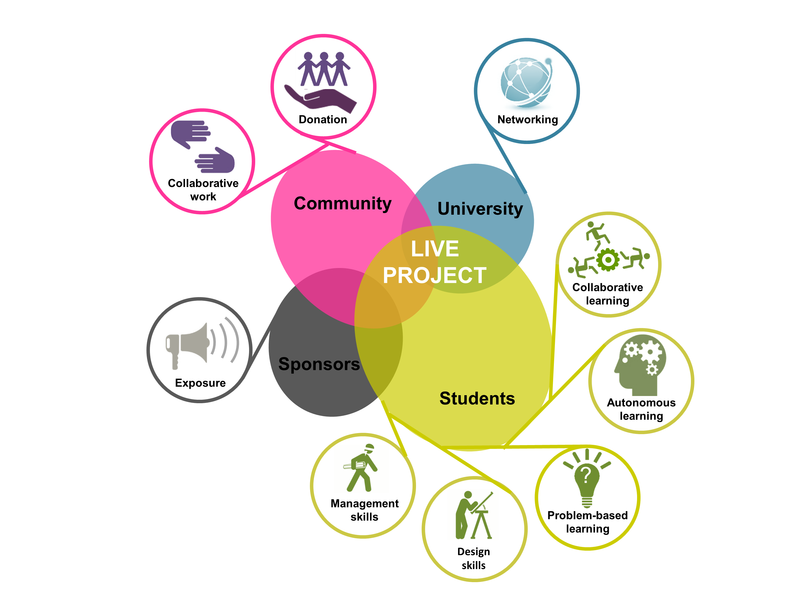 The aim was to shape each live project into a teaching activity that could promote significant learning. Specific learning objectives were determined in each case to address the different levels of knowledge described by the taxonomies taken as reference.